Kikizo: Was there any reason for making it realistic versus fantasy-based or sci-fi? De Plater: There's two reasons and they're kind of related. One is because it's Tom Clancy. Going back to our inspiration from BioWare, not only did they make [Star Wars] Knights of the Old Republic, completely as a console game designed from the ground up for the Xbox, but they also made sure they were going to break in to a wider market by attaching it to the best possible license, which in their case was Star Wars and for a war game, modern war in our case, is Tom Clancy. 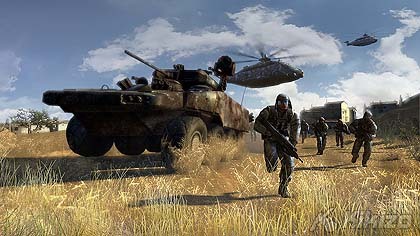 So the license helps us open it up and get mind share and be part of the Tom Clancy brand along with Ghost Recon and so on. And the other thing is the accessibility is an important thing, and the realistic setting helps that because people know what a helicopter is, they know what a tank is, so anyone who's ever played Battlefield or Advanced Wars or Command & Conquer or basically any modern military game can pick up our game and understand what an anti-aircraft rocket is or what a tank does, versus a sci-fi setting where you basically have to teach people or they have to remember these arbitrary relationships between different abilities are. Kikizo: What was the motivation behind the rock-paper-scissors gameplay? How did you come up with the idea, and was that something else you tried before then? De Plater: To be honest we just looked at Advanced Wars and that was a benchmark for accessibility. I actually think complexity gets in the way of depth, because if someone is devoting effort and energy to working out how to play the game or memorizing something, they're not thinking about strategy. The more simple and accessible you can make the rules the deeper the game is because the more players are actually playing. The real depth comes from players playing against each other not from trying to wrestle with the complexity of the controls. So it came from that obsession with making the game simple. Right from the beginning we knew that we wanted an Advanced Wars style combat chain. The other thing we wanted was a very simple resource model, so we decided very early that every unit was going to cost the same. We didn't want any unit to be better than another unit, so every unit has to have its role on the battlefield that's equally beneficial. What we did was we looked at a game like Command & Conquer for example where they've got light infantry riflemen who are pretty weak and useless, they're just cannon fodder. Then they've got snipers that are quite cool that can sneak around and snipe the enemy. And then they've got a commander who's really tough, who can blow things up and is quite a hard unit. So we thought, why does that need to be three units? So what we did is we made it one unit but we then we gave our units a tech tree. And it's the same in Command & Conquer where there are three types of vehicles that aren't tanks: there's transport units, there's anti-air units and then there's some other units. So our transport and our anti-air unit come together to be a single unit type and that way we don't have to make it cheaper than a tank because it's at least as cool as the tank. And we went through that process for each unit type, almost making each one like a class in an RPG, giving it an upgrade tree. So the players not making a decision about, Do I want this better unit or a worse unit, they're just deciding, What type of unit do I want. Kikizo: Did you do a lot of focus testing? De Plater: We focus tested right from the start for everything - the scenario, the gameplay, the UI. We mocked up the UI very early, like three years ago. And at first we knew at the beginning that we wanted to make a strategy game for people who don't like strategy games. Because at the beginning, the problem with this conceptually is that there are two types of people. If you find someone who loves strategy game, they're probably going to tell you that they don't want to play it on console. 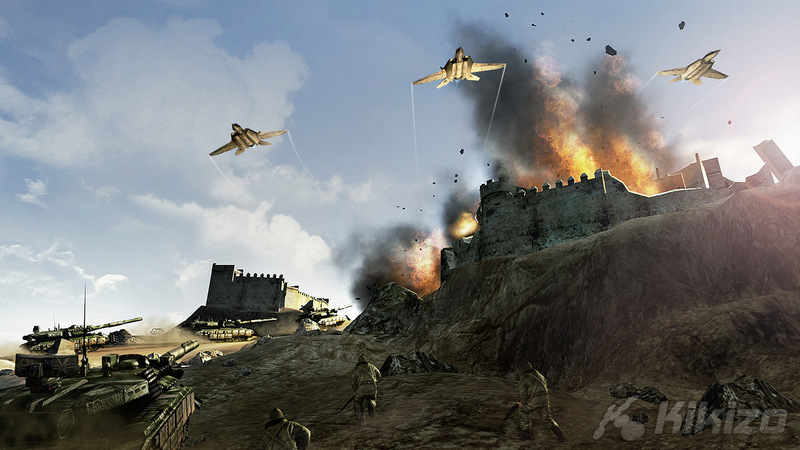 And if you find someone who really likes action war games, they're going to tell you they don't like strategy games. So we knew the first priority was to make something for people who like war games. We knew that there is a big audience of people that want to do more in their shooters than just twitch, that they like the strategic element from Battlefield or they like the tactical element from Ghost Recon. Number one, we're making the game for them. And then our second audience was people who like strategy games and want to move over to console. And what we were really reassured by in the focus tests is that we converted both of those people. 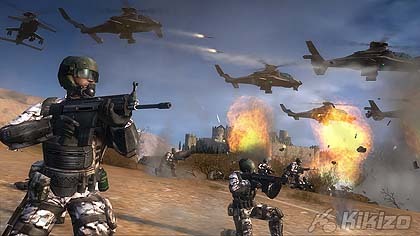 We had people who are shooter fans who said, I don't like strategy games but I like this, and we had strategy gamers who said, I don't like console games but I like this. We're really trying to go for the largest possible audience.